Are you sure you want to remove The jealous wife from your list? The jealous wife: a comedy. As it is acted at the Theatre-Royal in Drury-lane. The jealous wife: A comedy. Adapted for theatrical representation, as performed at the Theatres-Royal Drury-Lane and Covent-Garden. Regulated from the prompt-books, by permission of the managers. The jealous wife: a comedy in five acts. 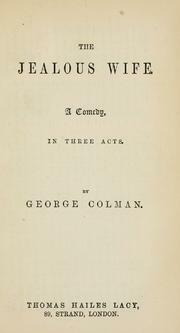 The jealous wife: a comedy, in five acts; as performed at the Theatres-Royal, Drury-Lane and Covent-Garden; printed, under the authority of the managers, from the prompt-books. The jealous wife: a comedy in three acts. The jealous wife: a comedy, in five acts. As performed at the Theatres Royal, Drury Lane and Covent Garden ... With remarks by Mrs. Inchbald. The jealous wife: a comedy. 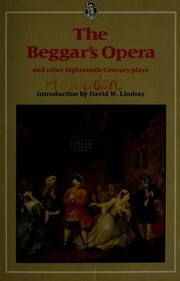 Adapted for theatrical representation, as performed at the Theatres-Royal, Drury-Lane andCovent-Garden. Regulated from the prompt-books, by permission of the Managers. The jealous wife: a comedy, as it is acted at the Theatre-Royal in Drury-Lane. By George Colman. The jealous wife: a comedy. As it is acted at the Theatre-Royal, in Drury-Lane. By George Colman, Esq;. The jealous wife: a comedy. As it is acted at the Theatre-Royal in Drury-Lane. By George Colman. The jealous wife: a comedy. As it is acted at the Theatre-Royal in Drury-Lane. 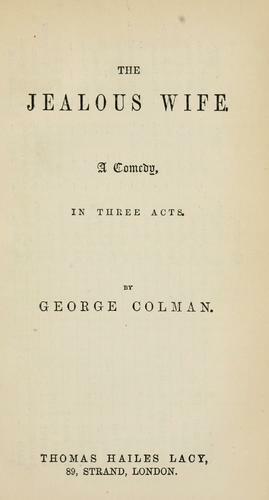 By George Colman, Esq. The jealous wife: a comedy. As it is acted at the Theatre Royal in Drury Lane.